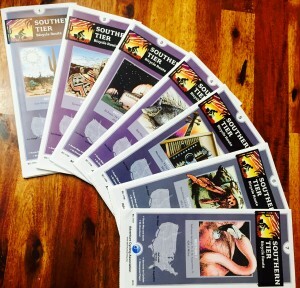 Southern Tier Maps Have Arrived! There are so many pieces that all must come together for the bike tour. Even though I have been planning this for months, sometimes it feels like there is so much to do with so little time. Then something happens that makes me realize that everything is coming together exactly the way is should. I opened my mailbox and inside a non-descript postal package were the 7 maps from the Adventure Cycling Association. These maps are the guide for 3065 miles of cycling through mountains, deserts, swamp and coastland. Seeing these maps really brings home the fact that in about 3 weeks I will be dipping my bike tire into the Pacific Ocean and starting on my journey. It’s coming soon and even though a part of me wishes I had more time to prep, most of me knows that it will be exactly as it should be and that will be just fine. Copyright © 2019 Health | Fitness | Beauty. All Rights Reserved. Designed by Themes by bavotasan.com.